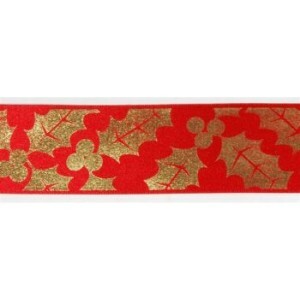 This lovely luxury red satin ribbon with gold holly & berries decoration is ideal to wrap your Christmas presents or to give your Christmas cake a festive finish! Sold Per metre so you can order the exact amount that your require. 35mm wide. £1.50 per metre.